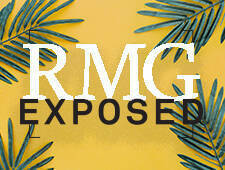 RBC sponsors an exhibition each year for the winner of the Best Overall Submission during the RMG’s annual fundraiser, RMG Exposed. The purpose of this prize is to raise awareness of contemporary photographers and their work. At last fall’s event, Toronto-based photographer Jonathan Groeneweg’s Bleecker Street Co-op Garden took the top award. Roots in the Garden is a continuation of Groeneweg’s Nature of Urbanity series, which included Groeneweg’s winning photo. That larger body of work was a product of academic research and artistic creation, which led to a Masters of Fine Arts degree at Ryerson University in Documentary Media, a thesis revolving around the important discussion of nature as a product of culture. 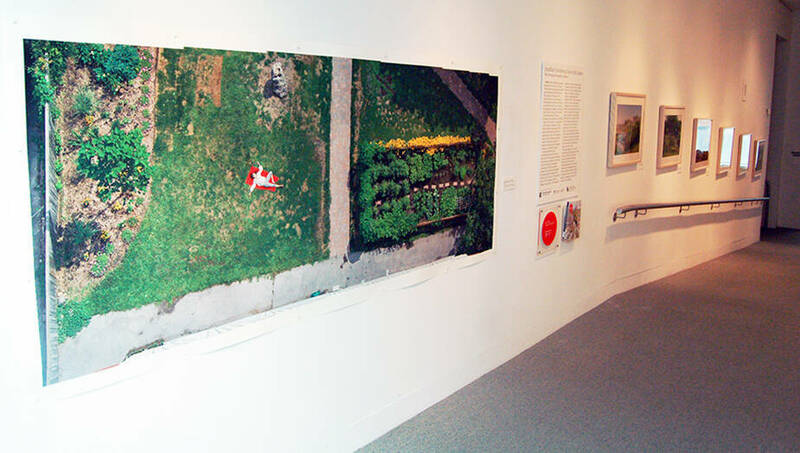 Addressing historic and contemporary issues within the discourses of landscape, philosophy, and urban development, Groeneweg creates aerial photo-panoramic composites of urban vegetable gardens. He explores relationships by contrasting mathematical precision and control of constructed space with the organic chaos of foliage and greenery. The vegetable garden is one of our oldest cultural constructs and has come to reflect many of our most cherished human ideals. It combines our rational desire for scientific control with the spiritual process in which we are deeply rooted. The garden is the starting point for the story of humanity’s migration from the wilderness towards the development of civilization in its current state, as well as a focus on things outside of primarily meeting the necessities of life. The photographs in this series combine digital photographic prints of the Leslie Street Allotment Gardens in Toronto and traditional print embossing techniques to introduce the anomalous human form. This combination creates a subtle interplay between the form of the garden, its maker, and the veil of ‘nature’ surrounding it. 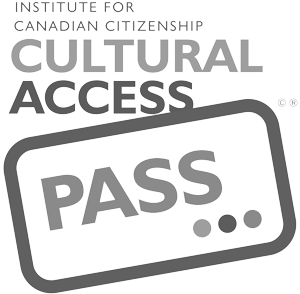 We are grateful to RBC Dominion Securities for sponsoring this exhibition.